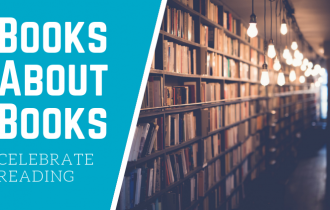 We all know that time is at a premium during the holidays, but that doesn’t mean forsaking our reading time—especially when sitting down for a few minutes with a great book helps us relax and rejuvenate in the midst of all the seasonal excitement. 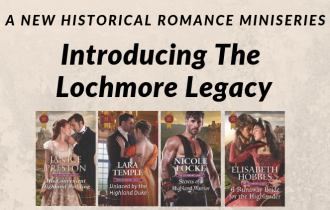 These shorter stories, novellas and special releases offer just the right kind of escape for the holidays: all of the joy, all of the romance, all of the excitement and just the right length to enjoy it all before the next task, party or need beckons. Give yourself a gift this Christmas—a story tailor-made for the busy holiday season! 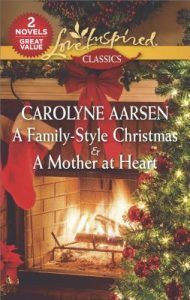 Jenna Wheeler’s Christmas is not looking very merry and bright, until her gorgeous new landlord, Carson McRaven, helps her find the Christmas spirit where she least expects it—in his arms. After witnessing Simon Steele’s motorcycle crash, nurse Caitlin Severn can’t help but stay by his side. While nursing him back to health, she finds that behind his bravado is a man struggling to find faith and a feeling of family. With Christmas coming, Caitlin’s wish is for Simon to find his way home…and to her heart. For Miriam Spencer, coming home means reuniting with Jake Steele—the man she’s never stopped loving. Now a widower with an adorable young daughter, Jake fears letting Miriam get too close again. But when his father gets sick, Miriam steps right in to help—and they realize that they’re meant to be together…forever. Former bad boy turned contractor Matt Cavanaugh returns to his hometown a changed man. So when he buys a bankrupt subdivision only to discover he’s stepped on single mom Callie Burdick’s dreams for her family, he wants to right his wrong. 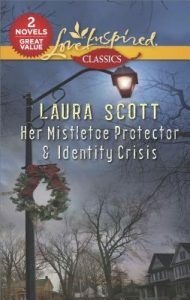 After learning about Callie’s troubled past, Matt’s determined to rebuild her trust—plus an entire community—in time for Christmas. Businessman Jeff Brennan can’t figure out why he’s so smitten with the town’s new librarian. Hannah Moore is quiet—and wants nothing to do with him. 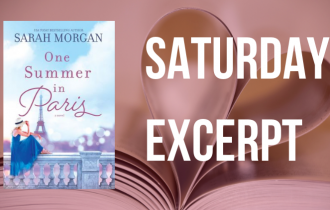 Yet as they work together on a fund-raiser, Jeff resolves to discover why she came to the small New York town—and to show her that love can be the most powerful healing force of all. 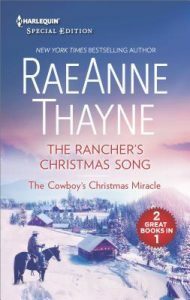 After her son is abducted, Rachel Simon turns to the one lawman who can help her find Joey before the kidnappers’ Christmas deadline. Racing against the clock, Detective Nick Butler will have to put all his investigative skills to the test if mother and son are to be reunited—and if he wants a chance of making them his family. When his ex-fiancée goes missing, Gage Drummond asks her twin for help. Though an accident has left Mallory Roth with amnesia, she’ll do anything for her twin. 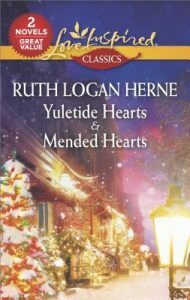 But with one sister missing—and another missing her memories—it’s obvious their enemies are playing for keeps…and that with Mallory, Gage is fighting a losing battle for his heart. Pregnant Hannah Olsen has made a list of Oak Grove’s eligible men. A list that Teddy White sees—and he’s not on it! Time for him to act so that both their Christmas wishes can come true. Finding Mr. Right is the furthest thing from Beth Davis’s mind when the Reno professor takes Thanksgiving break at a colleague’s Lake Tahoe cabin. Until Coinneach McFarland arrives to fix a suspicious leak. It looks like somebody’s playing matchmaker for two people sworn to stay single. But as things heat up, Beth is astonished to find she has discovered her soul mate just as she’d given up looking. Five years ago, Cleo Daire and Josh Goodson said goodbye and went their separate ways. But first they made a promise to reunite. 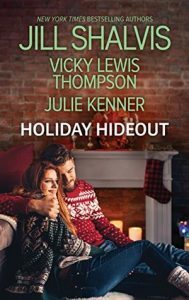 Now the ex-lovers are spending New Year’s Eve in a romantic cabin, where passion takes them by surprise and long-wished-for dreams can sometimes come true. Bonus: Enjoy this FREE Christmas sampler featuring extended excerpts of joyful stories from your favorite authors! How do you relax during the busy holiday season? Let us know in the comments! 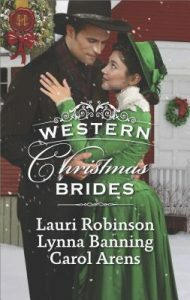 This is a great list and I just added another book (Western Christmas Brides) to my TBR List! I already had a few of these on my TBR List and have been reading a lot of anthologies recently. They are a great way to discover new authors.